Kent Summer Quickplay Charlton won it! The 2017 final was played on 23rd January 2018 at Charlton House and we beat Rainham by the narrowest margin. London League Not a good season! After being close to promotion to division 1 for the past two years, this year we have ended up being relegated to division 3 for the first time. Kent League The first team struggled this season in the Stevenson Cup and failed to win a match. The second team nearly reached the semi-final of the Harvey Cup but a misunderstanding of the clock lost a critical game in the last match. This season we entered a third team of mostly junior players who played extremely well and reached the final of the Intro Cup. 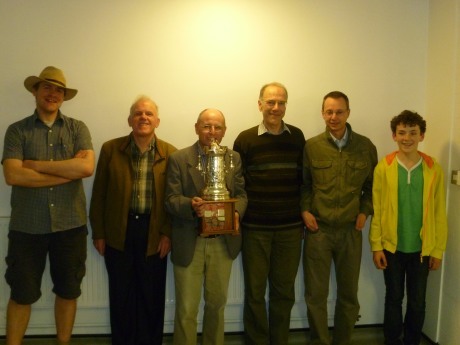 The London league team had a good season and finished 3rd (again!) in division 2. Unfortunately only two teams get promoted. Our Kent League first and second teams both finished mid-table in the En Passant and Fuller Cups respectively. We are currently in the final of the 2017 Kent Summer Quickplay, yet to be completed. In the 2016 Kent Summer Quickplay we reached the semi-final, but were unable to raise a full team against Folkestone. The London league team had a good season finished 3rd out of 13 in division 2. Unfortunately only two teams get promoted. Our Kent League first team reached the semi-final of the Lewis Cup. Our second team, in its first season in the Harvey Cup, won one match, drew two and lost three. We entered our new third team in the Tom Fuller Cup, although it lost all its matches. By April 2015 all the Kent league preliminary matches had been completed. Charlton's first team travelled to Maidstone on 22nd April for the Lewis Cup semi-final, winning the match by 4.5 to 1.5. Kent Finals Day took place on Sunday 10th May at the Mick Jagger Centre, Dartford. Charlton won the Lewis Cup, beating Tunbridge Wells in the final by 3.5 to 2.5. A significant change to the Kent League this season was the merger of the County and Lewis Cups (i.e. divisions 1 and 2). The County Cup was down to three teams but the merger means there are now six metropolitan Kent teams playing each other twice, so ten matches each. The top team qualifies for the County Cup final (to play the top team from the rest of Kent) and the second and third teams qualify for the Lewis Cup semifinal. Our first team (captain Alan Hanreck) in the County/Lewis Cup finished in third place with 5.5 points out of ten qualifying for the Lewis Cup semi-final..
Our second team (captain Jim Jackson) entered the Harvey Cup instead of the En Passant Cup, meaning the average grade limit of the team is 125 instead of 140 which better fits the grades of the squad. The team won one match and drew one out of five. In London League division 2, the joint Beckenham and Charlton team finished in sixth place. The division comprises thirteen teams and only two go up or down so promotion is not easy to achieve, although we frequently come close. Charlton won the 2013 Kent Summer Quickplay, beating Beckenham in the final. 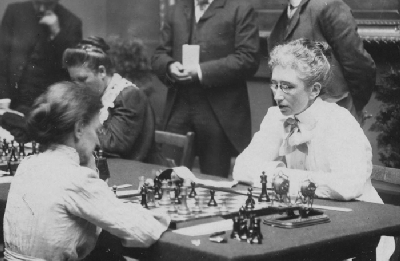 The London league team had a winning run after a poor start and finished in mid-table. The Charlton members of the team all performed well, but promotion was never achievable. Our Kent league teams both had a disappointing season. Both teams will be entering different divisions next season. After a good start our London League team slipped from the top of division 2 and finally scored 8 points out of 12, finishing in fifth place out of thirteen. Only two teams get promoted. Our first team in the Kent County Cup won two matches out of four but failed to reach the final on tie break. Our second team in the En Passant Cup had a disappointing season drawing just one match. The London League team finished in the lower half of Division 2, disappointing after just missing promotion in the previous two years. In the Kent League, Alan Hanreck's first team retained the County Cup by beating Beckenham & Bromley in the final on 13th May, our fourth win in five years. Jim Jackson's second team finished fourth in the En Passant Cup, a big improvement on last season. 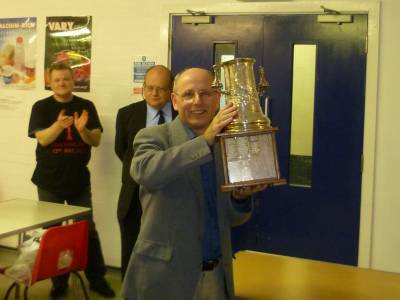 Our Kent League first team regained the County Cup by beating Beckenham & Bromley in the final on 15th May 2011. Team captain Alan Hanreck collected the silver trophy. He now needs to keep it polished! The London League team finished 2nd= in Division 2, but 3rd after tie-break (game points) so again just missed promotion to Division 1.